Welcome to Episode #10 of the DizFanatic podcast! This episode is hijacked by Guest Host and author of the DizGamer column Armand "No Usagi". As Armand sits in for Mike & Anna, he starts off the show with some recent news then he gives an in-depth review of the new Disney video game for the PSP, "Kingdom Hearts: Birth by Sleep." This long awaited game, published by Square Enix, lives up to its expectations. So relax and listen, and we hope you enjoy the show. Check out The Official Trailer for the game with some great samples of the gameplay. You can read more about the latest news and rumors as well as other fun Disney related stuff at DizFanatic.com. Please visit our main website site DizFanatic.com for more information. 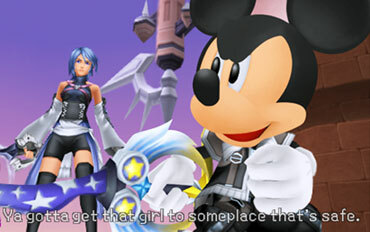 Check out Armand's DizGamer column for more great Disney gaming info. We welcome your comments, suggestions and we also just love to hear from you. Feel free to email us at Mike@DizFanatic.com or leave us a voice mail on Skype - just search for user "DizFanatic"! Welcome to Episode #9 of the DizFanatic podcast! This episode features Mike as your host as he joins some friends from WDWtravels.com to discuss the Halloween festivities ant Disney parks and the Disney Cruise Line. But first he is joined by the lovely DisneyAnna to discuss some recent news and rumors. Then they wrap up the show as they announce the winner of the very first DizFanatic Trivia Contest with prizes sponsored by Dizfanatic.com and WDWtravels.com. The winner was selected at random from all of the entries with correct answers. It's great to see that so many of you know your Disney trivia! Disney/Touchtone Pictures presents the greatest love story ever told, starring...garden gnomes? 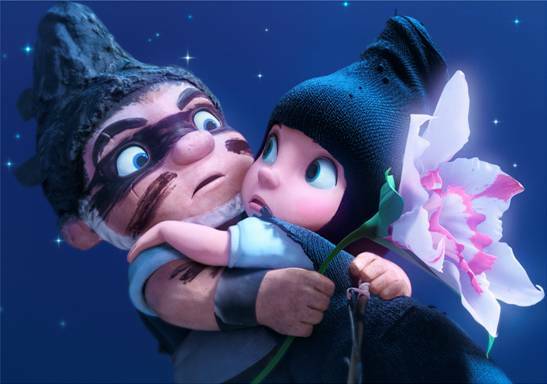 In "Gnomeo & Juliet," Shakespeare's revered tale gets a comical, off-the-wall makeover. Please visit our main website site DizFanatic.com for more information. We welcome your comments, suggestions and we also just love to hear from you. Feel free to email us at Mike@DizFanatic.com or leave us a voice mail on Skype - just search for user "DizFanatic"!